If you are looking for a low cost flight deals to Miami? Find today's best discounts for Cheap flights to Miami with Rehlat. 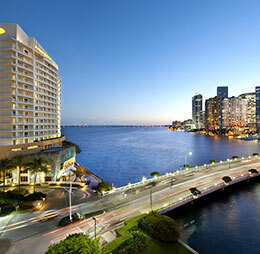 Compare prices and get the lowest airfare on international flight tickets to Miami. Go ahead, last minute offers to Miami from all major airlines.Check airfares for Miami flights from: New York City, Toronto, Jeddah, Lahore, Paris, Sao Paulo and Kuwait CityFind cheap flights to Miami and save on your trip at Rehlat. Also known as 'The Magic City,' Miami is known for its balmy beaches, unique culture and amazing diversity. Search Miami airfare deals by date and compare pricing from multiple travel partners all within a few clicks at Rehlat. Find cheap flights to Miami in seconds and save your hard-earned money.Rehlat helps you find a cheap flight to Miami airport information here. Miami is home to a plethora of historically significant structures and attraction. The major attractions of Miami are: Jungle Island, Coral Castle, Frost Art Museum University Park, MDC Museum of Art and Design, Tower Theater, Rubell Family Collection, The Margulies Collection at the WAREhOUSE, Burger Museum by Burger Beast, De la Cruz Collection, Institute of Contemporary Art, Miami, and Cuban Museum Inc.
Miami boasts numerous malls and shopping areas such as Las Olas Boulevard, Aventura Mall, Lincoln Road, and The Shops at Sunset Place. Here are few shopping malls in Miami that you shouldn’t miss: The Shops at Midtown Miami, CocoWalk, Bayside Marketplace, Shops at Merrick Park, Brickell City Centre, Mall of the Americas and Lincoln Road Mall. With so many shopping and dining options in Miami, choosing a venue to shop or eat can be a tricky decision, especially for those new to Miami. However, often called a melting pot of cultures, Miami is known for being culturally diverse. With the usual American favorites like hotdogs, fries, and pizza available at every nook and corner, Miami offers Cuban cuisine and other dishes that are certain to please even the choosiest palate. The transport options in Miami are: Taxis, metro, intercity trains, public buses, and bicycles. It is always better to choose Metro buses, which operates more than 90 routes with close to 1,000 buses. If you’re heading to Miami International Airport, the Airport Flyer (Route 150) provides an inexpensive transit connection to the airport from Miami Beach. This express bus runs every 30 minutes from Miami International Airport. The other transport options to and from the Miami International Airport include the metro, airport shuttles, intercity trains, Taxi, Limousine and public buses. Miami International airport is the major hub of American Airlines and Miami Air International airlines. The airport has three terminals Main terminal, North Terminal and Central Terminal along with five concourses E to J.